Chinese Defense Minister Chang Wanquan on Monday held talks with his Iranian counterpart Hossein Dehqan in Beijing even as China tries to get a stronger foothold in the Middle East. Chang said the development of bilateral relations has “remained positive and steady, featuring frequent high-level exchanges and deepened political mutual trust”. Increased mutual visits and personnel training cooperation between the armed forces” are a pointer towards “friendly relations”, Chang noted. In his maiden meet with the Iranian President Hassan Rouhani, Chinese President Xi Jinping had said, “Beijing and Tehran have been in contact on major international and regional issues”. Meanwhile, Dehqan, in his first visit to China since he took office, urged the two countries to continue to play a positive role in safeguarding regional peace and stability. 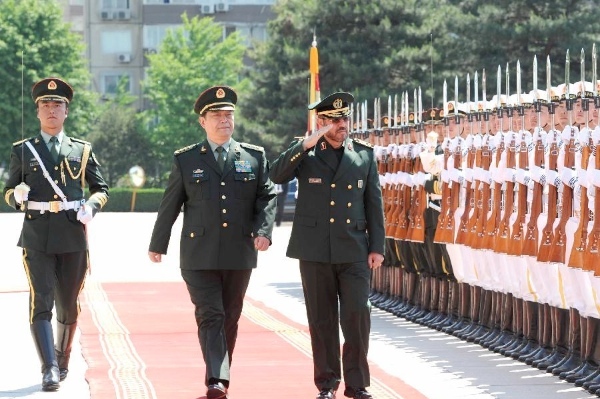 Dehqan arrived in Beijing on Sunday on a four-day official visit to China. China and the other four BRICS members have repeatedly criticized Washington’s demands to impose tougher economic sanctions on Iran. Iran insists its nuclear program is for civilian use, while some Western countries accuse it of secretly developing nuclear weapons.